An explosive kick-off to Boxing Hall of Fame Weekend, Diego De La Hoya (20-0, 9 KOs), the quick-handed super bantamweight contender of Mexicali, Mexico, will defend his NABF and NABO Super Bantamweight Titles against Jose “Sugar” Salgado (35-4-2, 28 KOs) of Cozumel, Mexico in the 10-round main event of the June 8 edition of Golden Boy Boxing on ESPN at Turning Stone Resort Casino. The event will take place during the International Boxing Hall of Fame Induction Weekend, where legendary fighters such as “Dr. Ironfist” Vitali Klitschko, Erik “El Terrible” Morales, and Ronald “Winky” Wright will be inducted, along with important figures in the sport of boxing such as Peter Kohl, Steve Albert, Jim Gray and Lorraine Chargin. De La Hoya is an undefeated contender who has built a stellar resume since turning professional in 2013. The 23-year-old will return after his most significant victory yet when he defeated former IBF Bantamweight World Champion Randy “El Matador” Caballero on the HBO-televised undercard of Canelo vs. Golovkin in Sept. 2017. De La Hoya is eager to produce another exciting victory to demonstrate that he is ready for bigger and more lucrative fights. Salgado is a former world title challenger who fought to a controversial technical draw against former WBC Super Flyweight Champion Carlos “Principe” Cuadras. 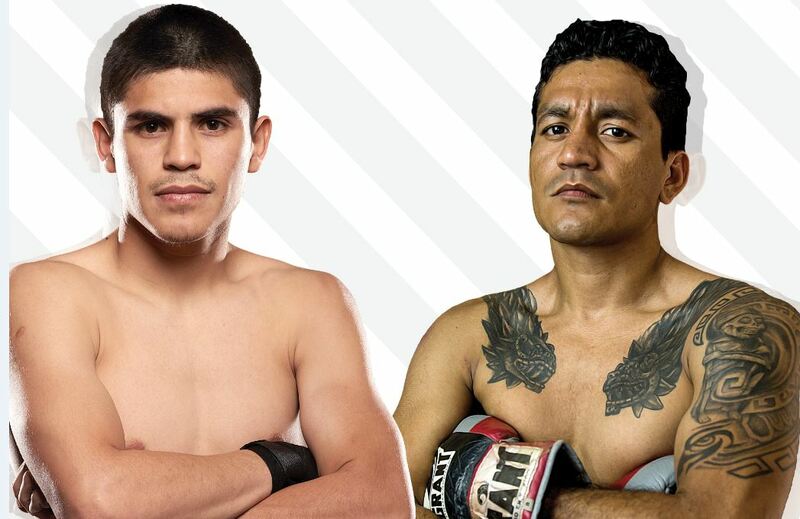 The 28-year-old Mexican contender will move up to test the young fighter with an aggressive style that is backed by years of boxing experience. Travell “Black Magic” Mazion (12-0, 11 KOs) of Austin, Texas will put his undefeated record on the line against once-beaten Daquan Pauldo (17-1, 9 KOs) of Orlando, Florida in an eight-round super welterweight fight in the co-main event of the June 8 edition of Golden Boy Boxing on ESPN. Mazion has the tools and the team that are guaranteed take him to the top, especially since he is trained Ozell Nelson. Nelson is known for training former undisputed middleweight champion and Olympic Bronze Medalist Jermain “Bad Intentions” Taylor, who in his prime ended Bernard “The Executioner” Hopkins' 12-year reign as world champion. Mazion has been touted to have all the skills that Taylor had bad more, reflected partly by his 90% knockout rate. Representing Orlando, Fl., Daquan Pauldo, formerly known as Daquan Arnett, only has one-blemish on his record. Pauldo has come back with six impressive victories since. Tickets for this matchup are on sale now and are available $85 for the first two rows ringside, $70 for remaining ringside seats and all others are priced at $49, $45 and $39, plus any applicable fees. Tickets can be purchased at the Turning Stone Resort Box Office in person or by calling 315-361-7469 or online at Ticketmaster.